History has shown us time and time again that the companies who often provide the best products and solutions are the ones that have experience within the field and industry that they are trying to penetrate. Of course, this isn’t always the case, but it definitely does help to have an intricate knowledge of the industry your product is going to be launched in. The OpenWays Group, a company specializing in providing smartphone based door locks to hotels, has extended its range of locking solutions by introducing the OKIDOKEYS, a new smart lock spin off that it hopes will capture a significant portion of the consumer section of the industry. It’s immediately apparent that no one in the company’s marketing department will be winning any employee of the month awards for the name choice of the product, but OpenWays do seem to be taking the OKIDOKEYS as seriously as they take their other tried and tested solutions. The comprehensive range of smart lock solutions will leverage the same 256-bit AES cryptology security that can be found in the door locks that are provided to large hotel chains. Like the August smart lock, and a number of other prominent smart locks, the OKIDOKEYS will be controlled via an iOS or Android smartphone that is Bluetooth LE compatible. One of the main differences between the OKIDOKEYS and other smart locks on the market is that OpenWays doesn’t appear to have placed much importance on keeping the design as minimal or unobtrusive as possible. 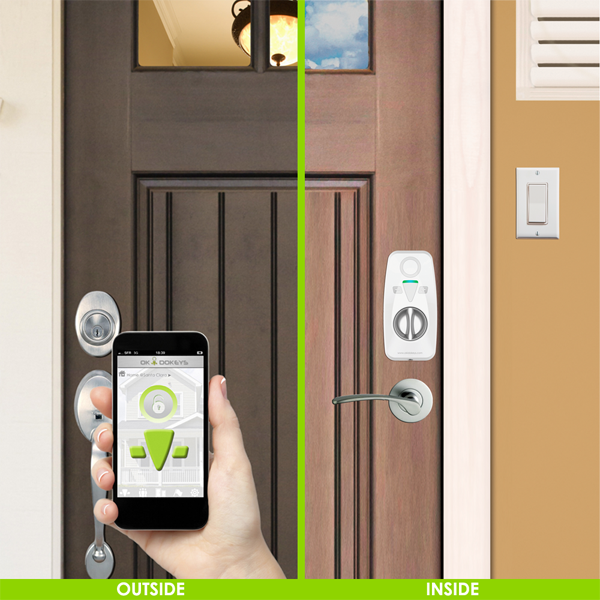 The required hardware that is mounted on the door isn’t one of the most streamlined examples of consumer technology you will ever seen, but this could be forgiven due to the advanced features that it offers and the level of thought that has been put into the functionality of the product. An in-home gateway means that multiple locks can be synchronized together through the home. The product is designed with ease of installation in mind. The available standard lock, electronic garage door opener and the mounted swipe lock are all intended to be installed by the end-user with minimal fuss and all work in conjunction with an existing ANSI Grade 1 and Grade 2 deadbolt. There will also be the option of unlocking the door using a Bluetooth 4.0 device, a traditional key, by using the optional Smart-Reader or even using a tiny little wristband or wallet card. 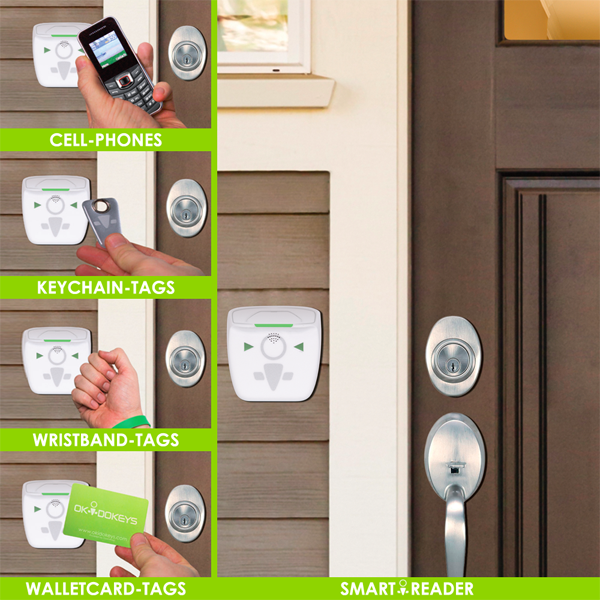 When sales start later this month consumers will be able to pick the OKIDOKEYS starter kit up for $179.